Everyday Value and Sensible Vehicle Service Pricing on Brakes, Tires, Batteries and Oil Changes! Schedule Appointment | Maintenance Services | Meet Our Team | Finance Application – APPLY NOW! At Carter Dodge Chrysler in Burnaby, we’ve been exceeding our loyal customer’s expectations for over 55 years. Today, we remain committed to providing an unrivaled Vehicle Service Experience. Maintaining your vehicle effectively is the key to your vehicle’s longevity, and at Carter Dodge Chrysler we firmly believe in helping you maintain and protect your investment is the …smartest thing we can do! Providing our customer’s with the Peace of Mind and convenience they deserve. Our factory certified technicians can service most makes and models. Rest assured you’ll always receive the highest quality of service each time… every time! 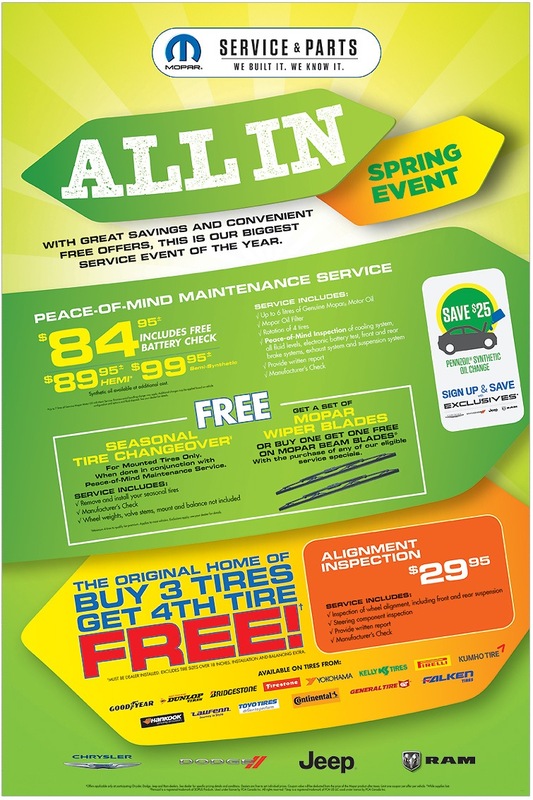 Click on the Spring Event below to enlarge! 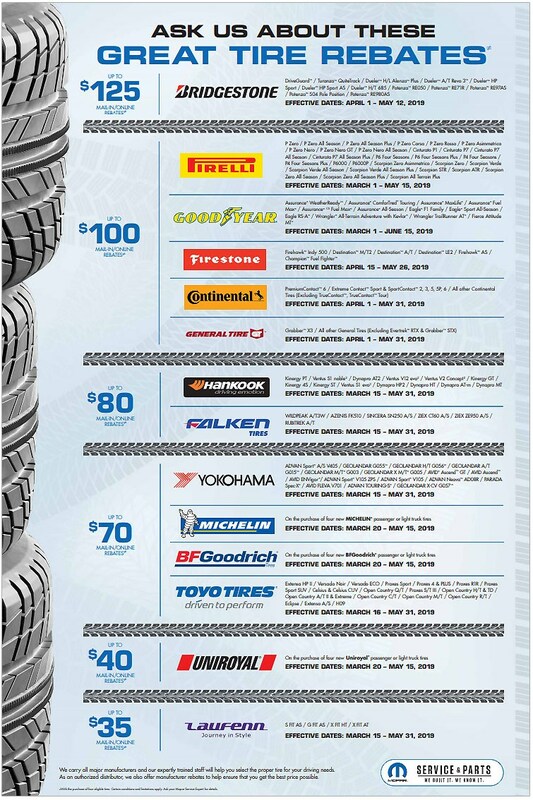 Click on the rebates below to enlarge! Getting You Back on the Road Faster! Our customer’s vehicle safety is our #1 priority. Which is why all of our dedicated technicians are highly trained and provide meticulous care and attention to each and every vehicle! More Ways to Save – take advantage of our competitive pricing on a wide selection of our automotive services, including; Oil and Filter Changes and Brake Services. Carter Dodge Chrysler has provided vehicle auto services for over 5 decades across the Lower Mainland – including; Greater Vancouver, Burnaby, New Westminster, Surrey and the Tri-Cities area. Schedule your vehicle today! "My wife and I visited Carter Dodge Chrysler in Burnaby looking to purchase a brand new Jeep Cherokee for our daughter. The level of service we experienced was truly remarkable! The sales staff were very knowledgeable and patient with us throughout the entire process. "I had a wonderful experience buying my Jeep Cherokee from here. Walter is the guy who made it all possible. From giving options to helping me choose the model and the color, to buying the vehicle, he guided me throughout the entire process.